You may have been planning your wedding in the back of your mind ever since you were thirteen years old, but that doesn't mean you won't be susceptible to the same types of mistakes that plague every bride! Planning a wedding is a big job with lots of little details that need attention. No matter how organized you may be, it's easy to make mistakes. Here is a quick look at some of the common wedding planning mistakes brides make and how to avoid them. Their dresses are often the things that brides are most excited to plan, and it's not uncommon for brides to jump straight into choosing their dream wedding dresses before anything else. However, the style of dress that you will ultimately want will depend greatly on the venue you choose. If you're getting married on the beach, for example, you will probably want a light, flowing dress. If you get married in a beautiful cathedral, on the other hand, you will probably want a fancy gown. Beginning the search for your dream wedding dress may be tempting, but be sure you wait until after you have chosen the venue. We've established that you need to choose your venue before you choose your wedding dress, but choosing your venue is still not the first step to planning your wedding! Your very first step should be to start planning your guest list. You don't have to get it completely finalized right away, but thinking about it now will give you a rough count that you will be able to use when shopping venues. If it looks like you're going to end up with 200 guests, you don't want to get a venue that only accommodates 150! Even for experienced professionals, doing hair and makeup can sometimes take longer than anticipated. There's nothing worse than having to rush to finish your beautification process, so do yourself a favor and schedule your hair and makeup sessions in the middle of your bridesmaids' appointments. That way if one of your bridesmaids needs to switch to a simpler, quicker hairstyle at the last minute, they can. It's no secret that dress shopping is one of the most exciting parts of wedding planning. Slipping into gown after gown is great fun, and there's no other feeling that can compare to finding your dream dress. However, don't make the mistake of inviting too many people to come on your shopping spree! Having a second opinion is helpful, but having too many opinions is overwhelming. Keep your entourage to your mom, your mother-in-law (if you're close to her), your maid of honor, and maybe one other bridesmaid. You're a bride - not Wonder Woman! Every woman can attest to the fact that planning a wedding is a big job, and trying to do everything yourself can only result in you feeling overwhelmed, overworked, and stressed beyond belief. 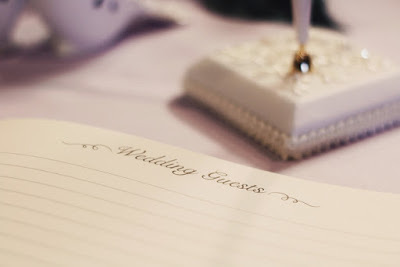 Don't be afraid to delegate some tasks to your maid of honor, bridesmaids, or your mom - or, if budget allows, hire a professional wedding planner to help take the weight off your shoulders! Even with all the planning in the world, unexpected wedding costs are bound to come up. (See our earlier blog for a quick list of things you forgot to include in your wedding budget.) Because unexpected expenses are unavoidable, you can save yourself a great deal of stress down the road by purposefully leaving a few hundred dollars untouched. This way, you'll be able to pay for last-minute purchases without throwing a wrench in your entire budgeting plan. Your wedding day is going to be one of the biggest days of your life. Even if you aren't typically a breakfast person, it's important to fuel your body for the big day ahead of you! Breakfast kickstarts your metabolism, boosts your energy, and will help you remain stable during all that lies ahead. On a similar note, don't forget to designate someone to be in charge of keeping plenty of water bottles on hand - you and your bridesmaids will need to stay hydrated! What other common mistakes do you think brides make? Leave us a comment and let us know!